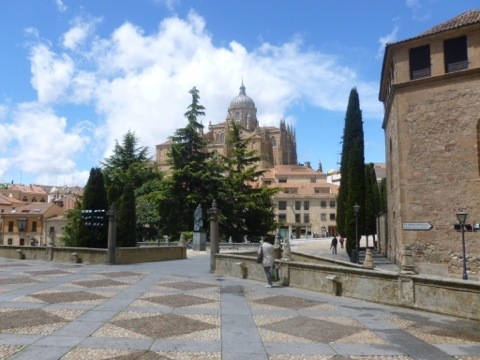 Our time so far in Spain has been dominated by time spent in beautiful cities. 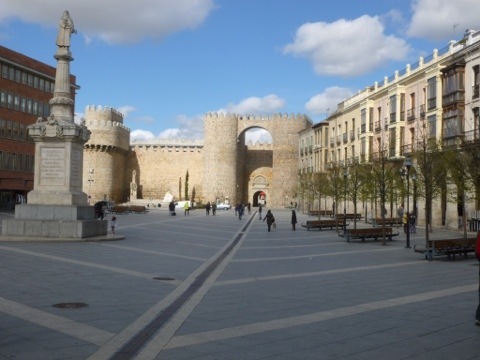 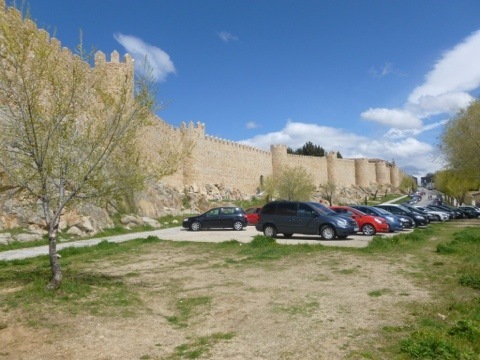 Ávila has an ancient city completely surrounded by a wall that has been painstakingly maintained by the city. 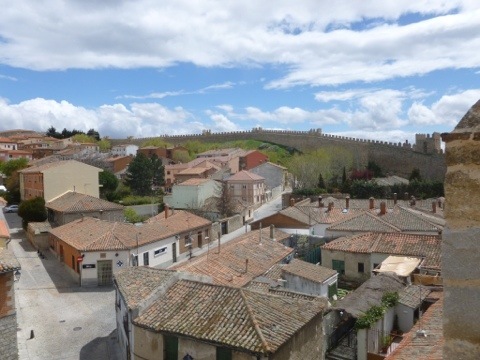 It is possible to walk along about 60% of the wall (about 3km) and see views across to the Sierras to the south. 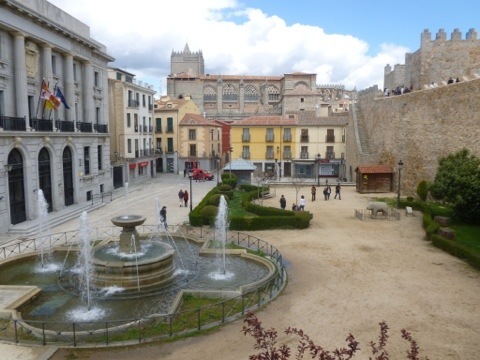 With no camping in the city, we stayed in lodgings right opposite the cathedral; our balcony overlooking one of the main streets. 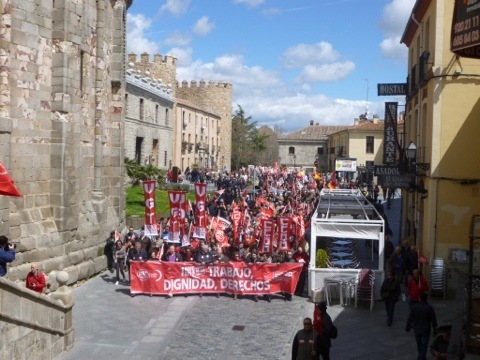 We unwittingly arrived on the 30th April and the following day the city was mostly closed with the exception of a labour day march which passed under our balcony. 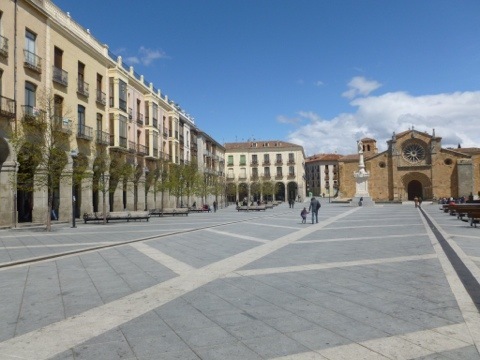 Two more beautiful plazas also provide further public space. 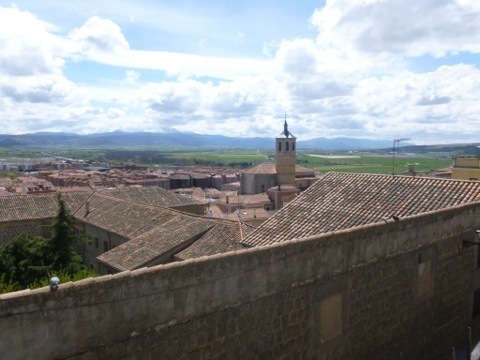 We had variable weather, but the winds consistently blew cold and strong. 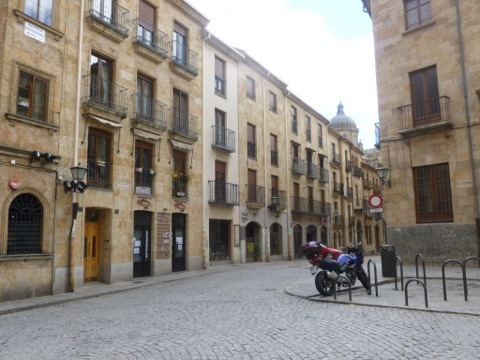 We then rode to Salamanca and camped out in the suburb of Santa Marta. 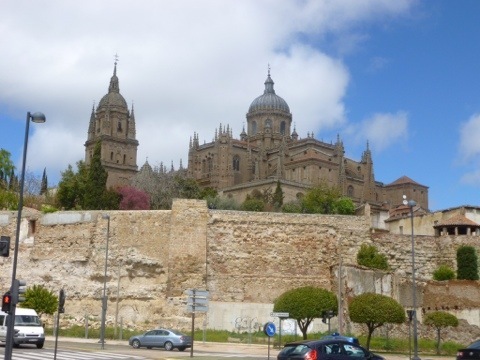 The roads in Salamanca are busy, so we took the bus into the city. 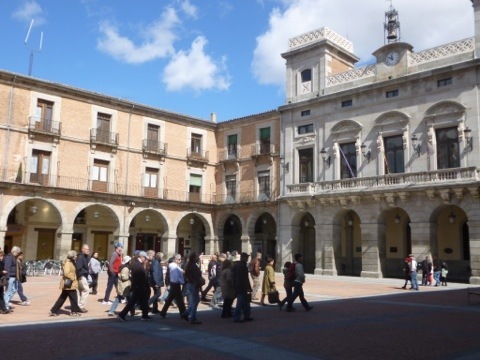 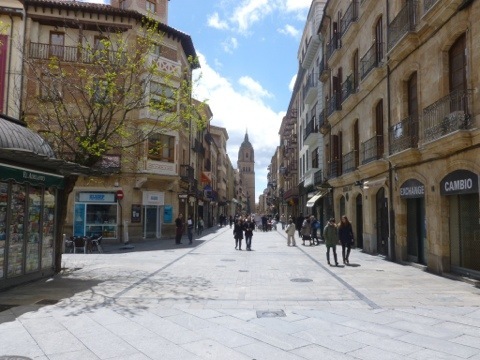 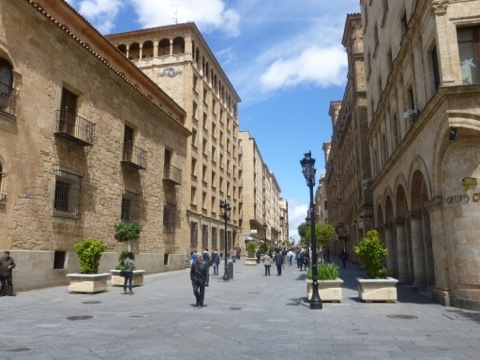 Salamanca has the grandest of cities with magnificent sandstone buildings and beautiful open streets, many of which are completely pedestrianised. 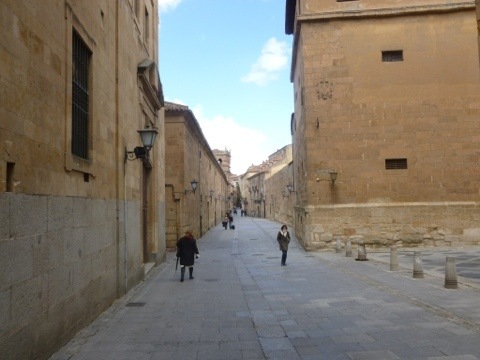 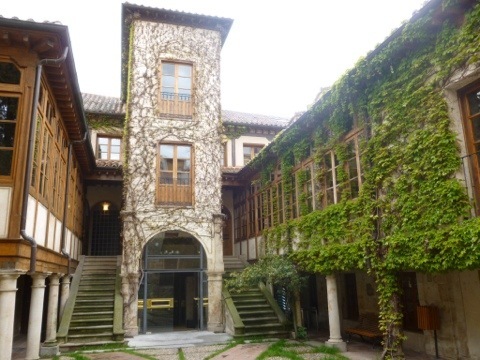 You can spend days wandering through the alleyways and trying out all the cafés. 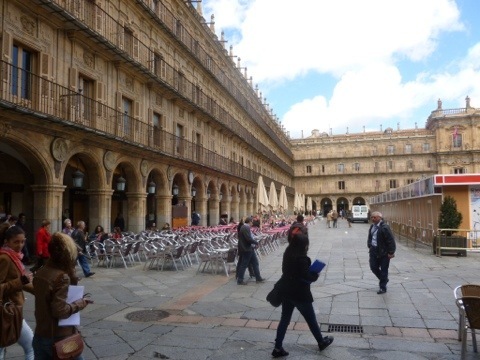 The main plaza is stunning, but unfortunately was taken over by unsightly stalls that had been used for a book fair (we missed the fair itself). 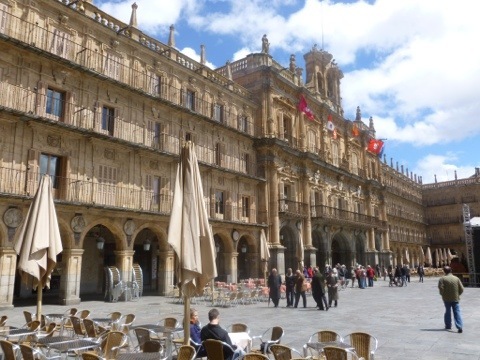 We had “April showers” for our three days in Salamanca and it remained cold and windy. 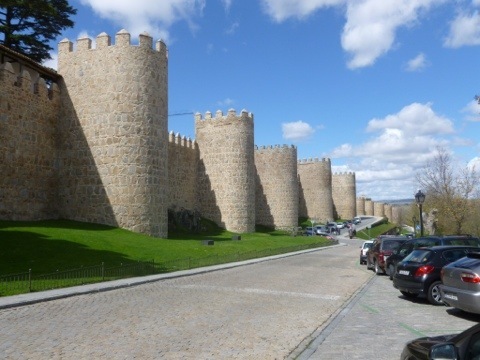 We were keen to move west to Portugal.